Join the Johnston County Opioid Task Force in learning to recognize and respond to an opioid overdose. 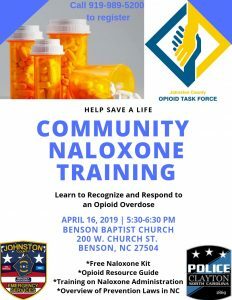 This free community naloxone training will be held at Benson Baptist Church. You will receive a resource guide and free naloxone kit. 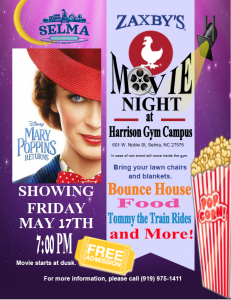 Tuesday April 16th, 2019 from 5:30 pm- 6:30 pm Call 919-989-5200 to register.